There was no difference between patients receiving tranexamic acid vs placebo with regard to improvement of 90-day functional status. 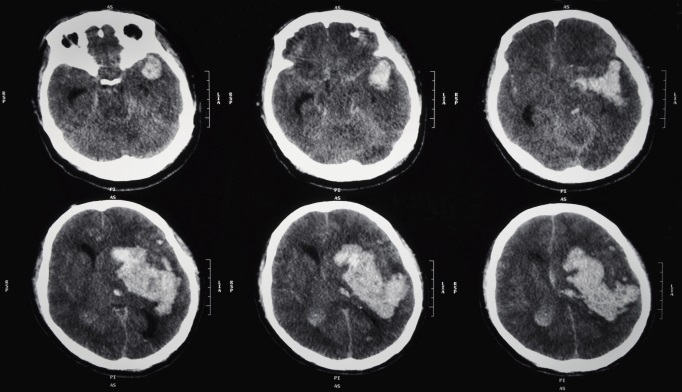 Treatment with tranexamic acid following intracerebral hemorrhage is associated with a lower short-term risk for death compared with placebo, according to a study published in the Lancet. Despite the reduction in mortality, there appears to be no difference between tranexamic acid and placebo with regard to improving 90-day functional status or case fatality in patients treated for intracerebral hemorrhage. Patients with intracerebral hemorrhage who were admitted to acute stroke units were randomly assigned to either 1 gram intravenous tranexamic acid followed by an 8-hour infusion of 1 gram tranexamic acid (n=1161) or matched placebo (n=1164). Treatment and placebo were administered within an 8-hour period of symptom onset. Functional status at 90 days following treatment comprised the primary outcome. In addition, secondary outcomes included neurologic impairment at 7 days or discharge, health-related quality of life, activities of daily living, cognition, mood, costs associated with hospital stay, and radiologic efficacy. There was no difference between patients receiving tranexamic acid vs placebo with regard to improvement in 90-day functional status (adjusted odds ratio [aOR] 0.88; 95% CI, 0.76-1.03, P =.11). A significantly lower percentage of patients experienced mortality in the tranexamic acid vs placebo group (9% vs 11%, respectively; aOR 0.73; 95% CI, 0.53-0.99, P =.0406); however, the case fatality rate did not differ at 90-day follow-up between the two groups (22% vs 21%; adjusted hazard ratio 0.92; 95% CI, 0.77-1.10, P =.37). A fewer number of patients in the tranexamic acid arm experienced serious adverse events when compared with patients receiving placebo at 2 days (n=379 [33%] vs n=417 [36%], respectively), 7 days (n=456 [39%] vs n=497 [43%], respectively), and 90 days (n=521 [45%] vs n=556 [48%], respectively). A limitation of the study includes its heterogeneous patient population, which possibly resulted in the dilution of treatment effect. “Tranexamic acid is inexpensive, easy to administer, seems to be safe, and is widely available, so even a modest treatment effect could have an important impact on the global scale,” reported the researchers. Sprigg N, Flaherty K, Appleton JP, et al; for the TICH-2 Investigators. Tranexamic acid for hyperacute primary IntraCerebral Haemorrhage (TICH-2): an international randomised, placebo-controlled, phase 3 superiority trial. Lancet. 2018;391(10135):2107-2115.